Indian SMEs sometimes use their traditional trends to build their brands with the less of understanding between marketing their brand and building the brand’s image. From startups to small scale enterprises, irrespective of the size and nature of business operations, any and every company can market its idea in today’s era. As building a brands is an expensive affair, therefore when it comes to small and medium sized businesses, the SMEs often face difficulties in marketing their brand image. Most of the Indian SMEs sometimes use their traditional trends to build their brands with the less of understanding between marketing their brand and building the brand’s image. 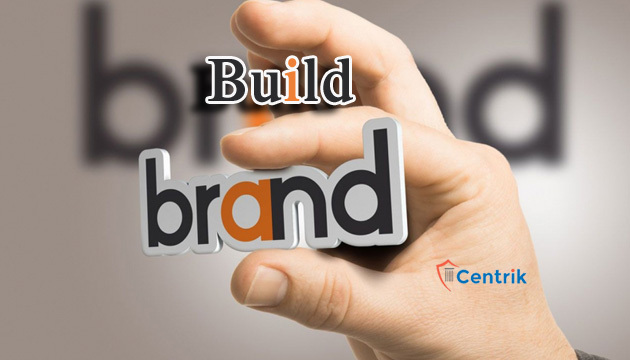 Building a brand is an art that can be defined as how the company can build its brand image focusing on how consumers and future clients can perceive the offered product in huge market. Follow the 5-step guide to turnaround you brand image from a smaller one to a bigger player in market. To begin with, the first and foremost step towards developing a brand image should be started with the company’s stationary like pens, business cards, office bags, website, products’ taglines etc. This is how the small business companies can maintain their brand value, which is one of the crucial parts of brand building exercise. This is a cost effective way to build promotes the brand etiquette and professionalism to your business. Substantially, the brand value development should be the priority of an SME, which most of them negate implementing it. Strong communication is reckoned to be one of the crucial assets of an organization. A team with strong communication skills can be the game-changer for company. Whether it’s about ramping up the sales figures or about increasing the brand awareness through an aggressive corporate communications, smart communications will help in driving the forces behind the broader customer base. The real asset of an organization is its human resources that play an intrinsic role to market the credentials of brand. With respect to increasing the brand value, the internal brand management is an important point to focus on when it comes to brand building exercise. It is the responsibility of the company’s owners to maintain the consistent productivity of an employee. If employees worked without any disturbance for five hours, their output will double and they will have enough time for their family too. This way the employees will remain constructive and consistent in their work with targets. A stop over where one can gain the massive attraction of consumers and prospective customers in the present information age is undeniably the social media. An activeness of brand on social media can raise an unpredictable amount of attention in the shortest span of time. The persistent presence of brand on social media and the updated developments about the company’s work can enlarge the consumer base, which could even touch the global consumer segment also. Secondly, the cross communication is what helps customers understanding the brand in a better way, for which certainly the social media is a must-use tool by small biz brands. From the global giants like Coca-Cola to a home-grown brand entering international markets Patanjali, every big or small player maintains the brand consistency in its own way. What makes a brand iconic is the way how consumer frequently sees it. Though, marketing is a weapon to drill the brand, but what builds the brand is its niche yet simple logo and brand name, which could easily take the place in mind of target audience.